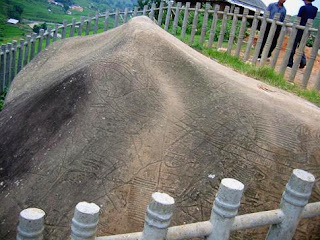 Sapa Ancient Rock Field is in Muong Hoa Valley, Hau Thao Commune, Sapa District, Lao Cai Province. 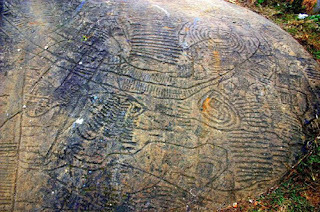 This 8sq.km-area of remains consists of large multi-grade rocks engraved with ancient images. The engravings on the surfaces of the stone are either pictographic or decorative. Remarkably, among the engravings are drawings of humans, stilt-houses of the ethnic minorities and symbols believed to be a primitive form of writing. But their meaning has not yet been deciphered.